Portal Bucks - POS Portal's way to show love! POS Portal not only gives you money, we create it! Introducing Portal Bucks: our latest, crazy way to show our customers how much we appreciate them. They are fun. They are easy. And profitable! See below for more details. Q. What are Portal Bucks? A. Portal Bucks are credits in your Online Store account. Almost like air miles, but way better! Mainly because each Portal Buck = $1. SUPER SIMPLE! Q. Do Portal Bucks ever expire? A. Each portal buck earned will expire 90 days from the date it was distributed. Q. How do I earn more Portal Bucks? A. Portal Bucks will be awarded for all kinds of things, including certain purchases and promotions. Q. How many Portal Bucks do I have? A. All you have to do is login, and you will see your current Portal Bucks balance at the top of the page. 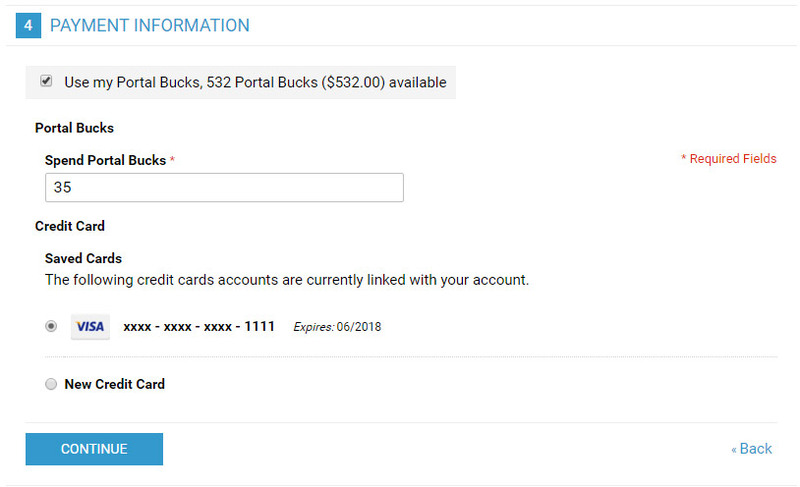 You can also view your portal bucks in "My Account" under "Portal Bucks" or on the checkout page. You can't miss it! Q. How do I redeem my Portal Bucks? A. Simply add something(s) to your cart. Then you will see the Portal Bucks bar on the checkout page. Use this to apply as many of your Portal Bucks as you want on the order. EASY, HUH? Q. How do I see how many Portal Bucks I have earned and spent? A. Visit the "Portal Bucks" summary page under "My Account"! You can see how many you earned, how you earned them, when and which orders you have redeemed Portal Bucks on, and when they expire. All the really important info in one place. Q. Are Portal Bucks refundable? A. Sometimes. If you place an order using Portal Bucks and cancel the order before it ships, we will reload the Portal Bucks back into your account. There may be up to a 24 hour delay before the Portal Bucks are reloaded into your account However, once an order ships we will not reload Portal Bucks if you refuse the shipment or return any of the order contents. At checkout, you'll be able to see your Portal Bucks total, and choose how many to use on your current order.